Its pit boss politics, D.C. style, as States challenge the Federal government over who will regulate the nation’s multi-billion dollar online gaming economy. Responding to new legislation drafted by Senate Majority Leader Harry Reid (D-NV) and Minority Whip Jon Kyl (R-AZ) that would vigorously regulate the “laptop casino” by supporting online poker while banning other online games of chance, Statehouse legislators, lottery directors, and their lobbyists, have descended on Washington to demand that the States continue to be allowed to deal out their own rules for Internet wagering. 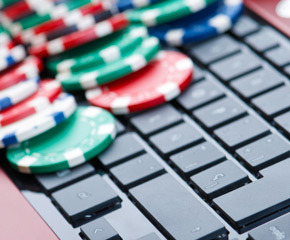 For years opponents of gambling have grumbled about the explosion in online gaming. A recent Merrill-Lynch analysis envisions that by 2015 worldwide profits from Internet gambling will surpass 150 billion dollars. For these critics gambling has become a globe straddling one-armed bandit promoting fraud, money laundering and consumer abuse. But to recession strapped States it has proved to be a jackpot. In 2006 Congress passed legislation that, coupled with the 1961 Wire Act, created a powerful set of rules around online gaming. In 2011 the Justice Department dramatically re interpreted the purview of the Wire Act, easing restrictions. Across the country Statehouse leaders seized upon this roll back in regulation as a dynamic opportunity to license new online games and pad their budgets with the resulting tax revenue. Politicians in 10 states have already moved forward with bills that permit online gaming, or formed committees to explore its feasibility. Illinois and Georgia are further ahead, selling lottery tickets over the Internet. Delaware, where seven percent of the state budget is juiced from gaming sources, the state’s fourth largest revenue stream, is preparing to implement legislation that permits, in addition to its lottery, online games such as poker, blackjack and roulette. Senator Jon Kyl has long been a flat-out opponent of gambling. Next month Kyl is set to retire from the Senate, and his looming departure has prompted gaming opponents to bring forward in the Senate the “Internet Gambling Prohibition, Poker Consumer Protection and Strengthening UIGEA Act of 2012,” otherwise known as the “Poker Bill.” In addition to paring back online action to poker alone, the bill would Federalize regulation through the Department of Commerce, a move that proponents of the bill see as a remedy to the chaos of fifty states operating by fifty different sets of rules. It would also have the none too subtle effect of funneling back to Washington taxes and fees raised on Internet gaming. Kyl’s co-sponsor on the bill, Senator Harry Reid, representing Nevada’s casino interests, has a manifestly different agenda. One of the major proponents of the new legislation is the powerful American Gaming Association, national advocates for casino operators. Online gaming has made deep cuts into casino profits, to the extent that Senator Reid has described unregulated online poker “as the most important issue facing Nevada since Yucca Mountain,” referring to a radioactive materials storage site in his state that has sparked years of controversy. 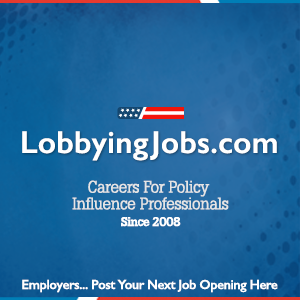 As States push back against Reid-Kyl’s Poker Bill, they are aided by an array of lobbyists, acting for lottery operators, and powerful advocacy groups like the National Conference of State Legislators. Closing ranks with them, somewhat improbably, are Christian conservative opponents of any form of gambling, who see the Reid-Kyl bill as a massive expansion of Internet gaming through its continued legalization of online poker. As if this wasn’t tough enough, concerns about the constitutionality of the bill are now being raised. And, of course, there is the fact, not missed by politicians, that while unpalatable to some, Internet gaming is a hugely popular pastime. Time is running out for Kyl and Reid to get the fix in. Against the clock, and with such a firewall of opposition, a betting man would say that in this deal the gamblers are the odds-on favorite to beat the house. Or, in this case, the Senate.